To share stories, as seen through the eyes of youth, of church youth and adults around the world, which show God’s leading in His service and how He continues to changes lives. To inspire each guest to be like the pioneers of the past and to step out in faith for Jesus. To build an awareness of God’s love for each visitor and of the coming of Jesus. 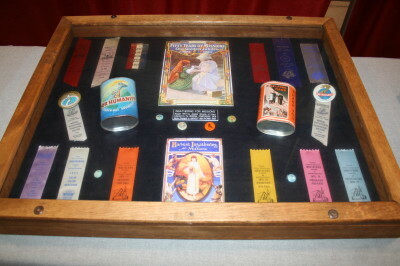 To preserve Seventh-day Adventist Church historical artifacts. To provide a place for leadership training. Early Youth Leaders such as Milton. E. Kern, C. Lester Bond, Eldine W. Dunbar, Theodore E. Lucas, John H. Hancock, Henry T. Bergh. Remembering the Past where visitors can trace the history of the world wide Seventh-day Adventist Church. Displays that help to tell the stories of God’s leading in the various ministries of the church that impact the lives of youth. Hall of Fame highlighting various leaders who have had an impact on the lives of youth around the world such as Desmond Doss, John H. Hancock, Baraka Mugunda and Leo S. Ranzolin. Nature exhibits that help individuals to understand our Creator. Young Heroes — Youth that have shown Christ example in their lives such as Josh Gomes and Daisy Yoder. Leadership classes for various youth related ministries. Health related classes that would be of service to the local youth community. Nature/Outdoor related training for leaders and youth. Training opportunities for visitors to discover new areas of interest during their visit to the Adventist Youth Ministries Museum. Area for lectures, classes, discussions and audio-visual programming. A demonstration area for teaching specific leadership skills and sharing object lessons. Materials and Resource Center where visitors may use the internet and have access to various published reference materials for study and purchase. Gift Shop where items unique to the Adventist Youth Ministries Museum can be purchased. Mike Edge, Bob Holbrook, Jasmine Hoyt, Glen Milam, Norm Middag, Anne Wham, Arnold Plata, Ken Rogers, and Allan Williamson. Other members to be appointed as developments move ahead. Members to be selected will be Seventh-day Adventist Church leaders or lay members. Free general admission is a benefit for those who visit the Adventist Youth Ministries Museum. Guest will have the opportunity to tour and enjoy the various activities at the Adventist Youth Ministries Museum whenever it is open.